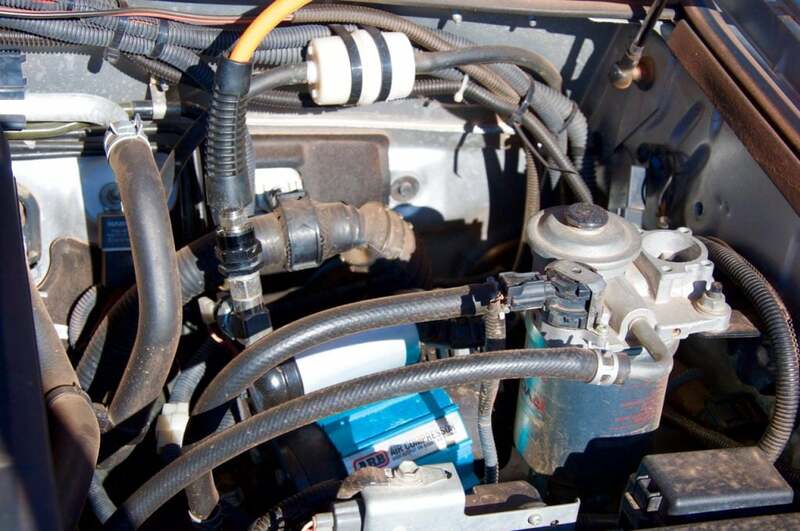 Most people are well versed with the benefits of running low air pressures in sand, technical and muddy terrain. 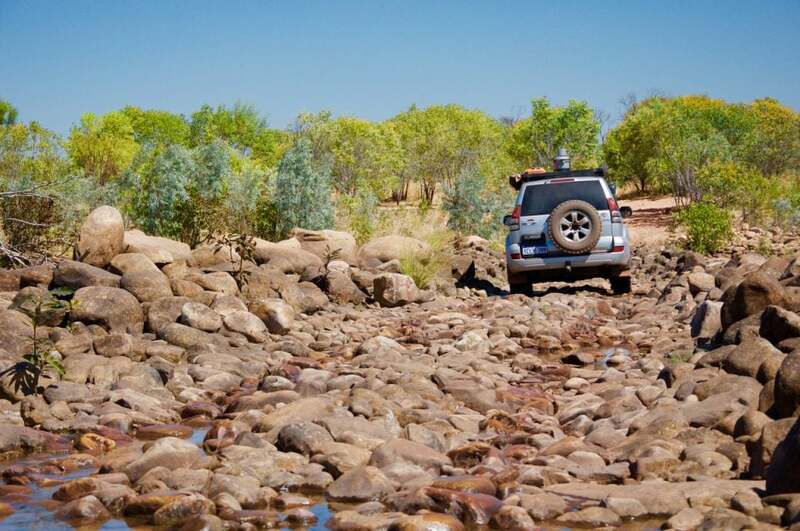 We’d like to run you through why we air down when touring, even when the terrain doesn’t demand it. 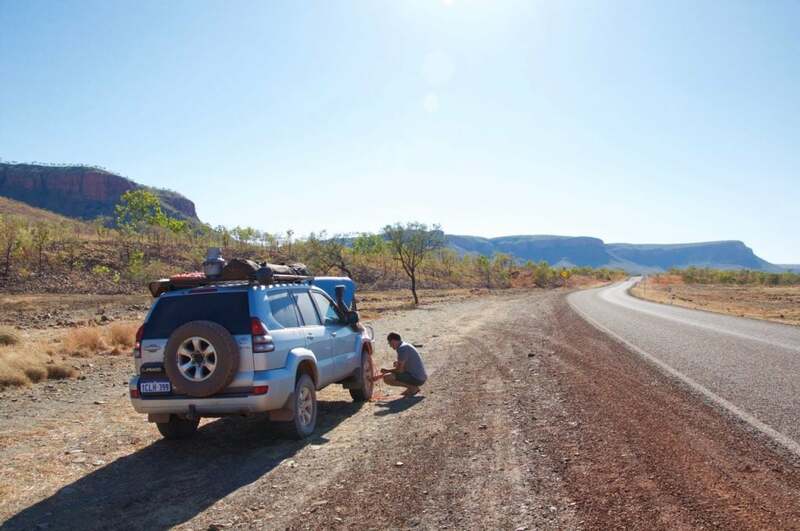 Airing down at the start of the Gibb River Rd. As most of you know as tyres get hot the air inside expands and the pressure goes up. So this means hard tyres get harder. These hard tyres have very little give which means they take a hiding on corrugated gravel roads as well as pretty much every other non bitumen terrain. By running lower air pressures we allow our tyres some breathing space, the ability to absorb and dissipate some of the load we throw at them. This absolutely makes them harder to puncture! We ran 20 psi (cold pressure) on our trip down the Gibb River Rd this year and had zero punctures while others were having up to four! We acknowledge there are other factors in play [ suspension, tyre quality, load weight, terrain, line selection and luck ] however we believe tyre pressure is crucial. At 6’2” long off road trips and my back have sometimes not been a good match. Running low pressures I believe makes our vehicle twice as comfortable off road. We nearly covered 10,000km in just over 3 weeks in our Kimberley trip this winter and my back was great and Gen was comfortable and loving it. The times when I don’t remember to air down I can usually feel my back quickly, a good reminder to stop! 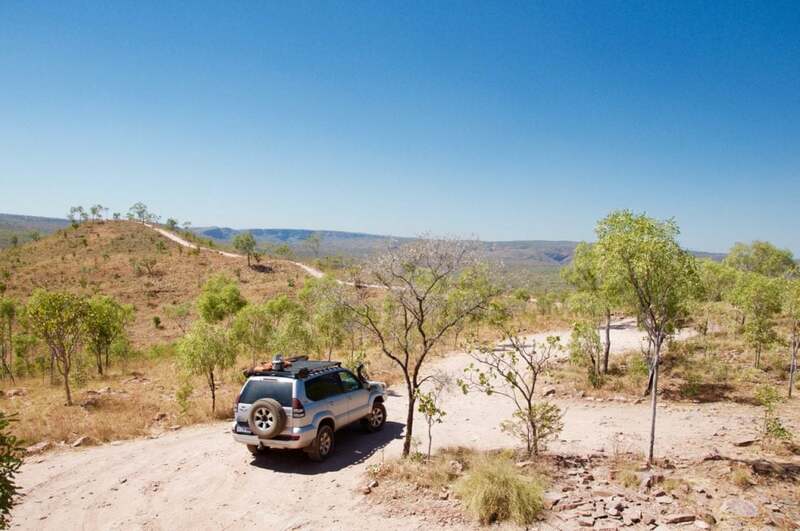 Exploring the tracks of El Questro. We have also observed that at low pressures our vehicle seems to glide along. On hard pressures it feels like it’s rattling to pieces, it’s hard to hear inside and it feels like something is going to break. The same goes for the gear inside – on low pressures we have less rattles and everything seems to sit quietly. A quick switch and we’re ready. If your compressor is buried under piles of gear in the back or is slow and unreliable, then chances are airing down won’t appeal. Make sure that your compressor is handy and that you have a quality one. For touring you don’t need a competition compressor. 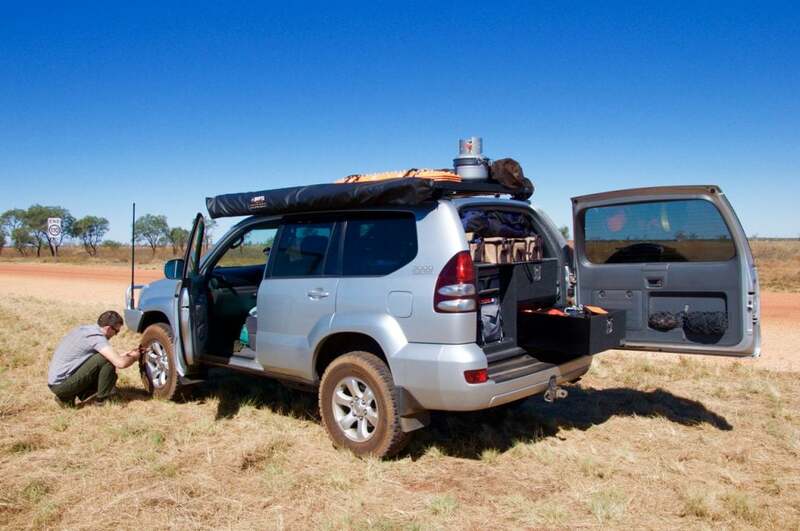 A quality touring one is more affordable and easier to pack. We have room under the bonnet so have chosen to mount ours meaning we simply plug in the hose, flick the switch and we’re ready to go, and there’s one less thing to pack. The other benefit is that it’s always with us, so we if we end up off road when we weren’t planning on it there’s no worries. For deflating we use an ARB E-Z Deflator – which enables you to screw out the valve core for very quick and easy deflation. 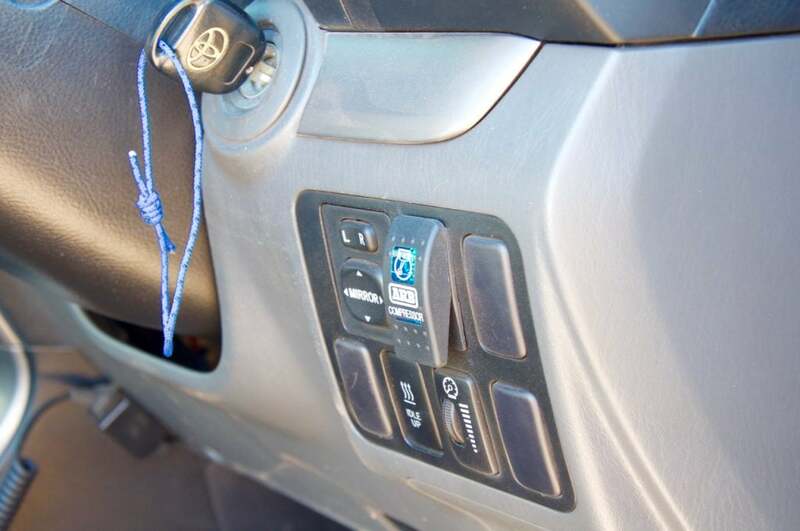 We find our onboard compressor quick and easy. Airing up at the end of the Gibb River Rd. A bone jarring ride puts many off touring long distances all together. One of the cheapest, easiest and most effective solutions is to simply air down.